Though lacking flair and imagination, Gov. Larry Hogan, Jr.’s second State of the State address proved a solid effort with just the right theme: conciliation and compromise. That leaves unanswered the key question: Will these promising words be followed by matching deeds? 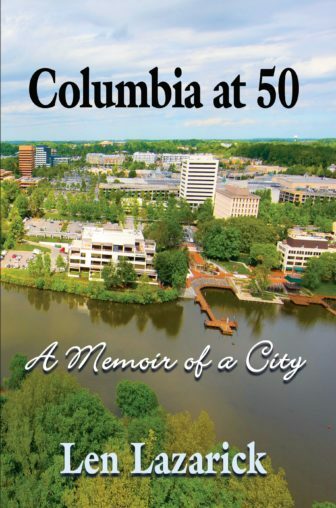 The governor called his speech “A Middle Temperament,” taking a page from Robert J. Brugger’s definitive state history – “Maryland A Middle Temperament 1634—1980” and from Captain John Smith’s written description of the Chesapeake’s munificent bounties in the early 1600s. Hogan heaped ample praise on himself in the speech, taking credit for everything that went right over the past 12 months in Maryland – even if he had nothing to do with it. For instance, he raved about Maryland’s job growth and his big budget surplus – both the result of national macro-economic factors in which any governor plays virtually no role. He boasted about his record spending on education – though that’s the result of mandated increases in Maryland’s education aid formula. Hogan didn’t lift a finger to make that happen. He even claimed credit for being the first governor to fully fund a program giving extra education aid to higher-cost counties. This, despite the fact he cut that aid in half last year and only fully funded the program in his new budget because infuriated lawmakers made it a legal requirement. Hogan also sounded alarm bells about Maryland’s ballooning borrowing costs. Yet the governor did little in his budget to sharply rein in borrowing over the next fiscal year. 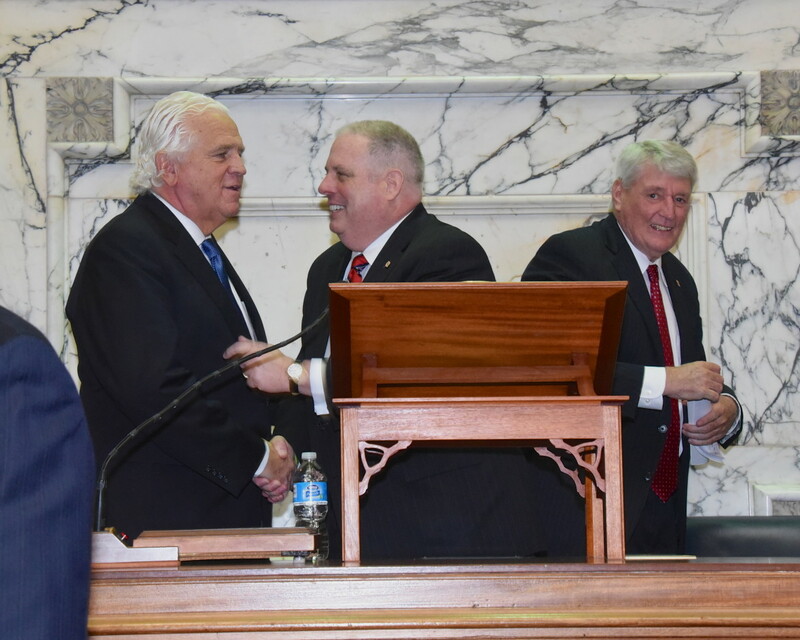 Actions, not words, will tell us if Hogan is serious about working with Democratic lawmakers on that and other serious problems the governor discussed in his annual address. In his early dealings with lawmakers, the Republican governor struck a partisan tone. He refused to meet them halfway. He has continued to shut them out of policy development and rarely keeps them informed about his plans before he makes a splashy PR announcement. He’s been the opposite of inclusive. He also has lacked consistency. Last fall, out of the blue, he announced extra education aid for three Republican counties to help them deal with falling student enrollment. Yet Democratic Baltimore City, facing a far larger and more costly enrollment plunge, got nothing. Then last week, Hogan finally caved to demands from legislative leaders to ante up money promised by the O’Malley administration to support Prince George’s Hospital Center until a new regional medical complex is built. Hogan did so only after the House speaker and Senate president announced they’d push through a bill forcing Hogan to put up these funds in future years. Yet Hogan praised his action, asserting such an arrangement was long overdue – as though the O’Malley administration had dropped the ball. It was a transparent re-writing of history. Then on Jan. 4, Hogan suddenly announced plans to pour $700 million over a number of years into Baltimore City’s housing demolition program. Yet when Hogan’s budget arrived, the first installment of demolition money wasn’t there, nor an explanation of where all that $700 million would come from. Hogan blamed Baltimore City for this gap in his budget. He claimed the city had failed to sign a memorandum of understanding (MOU) that had been in negotiation for months. But wait a minute: There’s no signed MOU for the Prince George’s hospital deal, either. Yet that didn’t stop Hogan from putting supplemental funds into his budget last week. “There is so much we can find agreement on,” Hogan said in his speech. Indeed there is. But it will take more give than take from the governor – a reversal of his style from his first legislative session. It also will take less partisan one-upmanship, less headline-grabbing announcements that blindside legislative leaders. The opportunity is there, though, for Hogan to put together a winning legislative record this year. That will mean not only saying the right things about “finding the middle ground” but making the right moves to achieve compromise. This may not prove popular with his hard-core conservative base. But if Hogan is serious about avoiding a rough road for his priorities and avoiding hyper-partisan gridlock in Annapolis, he’s the one who must take the initiative by backing up his conciliatory words with conciliatory deeds.